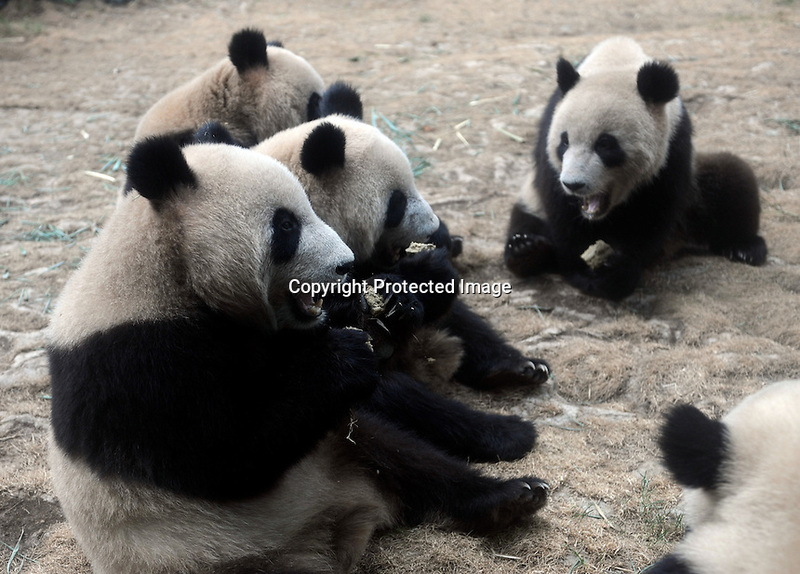 Pandas that were brought from the damaged Wolong panda reserve to Beijing eat their favorite food, panda cakes, in Beijing Zoo, 15th August 2008. Eight tramatised one and two year-old pandas were brought from Wolong to Beijing for recuperation and have been placed in aan Olympic Panda exhibition at Beijing zoo and are recieving unprecadented number of visitors. The pandas were so scaerd during the quake and refused to come down from the trees. The Wolong keepers that accompanied the pandas to Beijing cuddle and play with pandas to help them recover from their horrific experience.